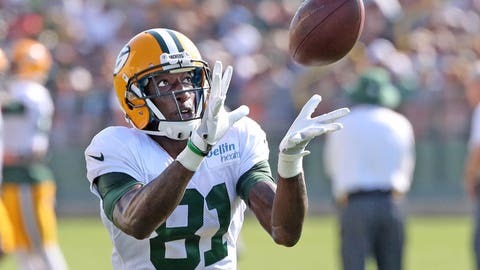 The Green Bay Packers released cornerback LaDarius Gunter on Tuesday, freeing up a roster spot for wide receiver Geronimo Allison, who was returned from exempt status. Gunter played on just two of the Packers’ defensive snaps in Week 1. Allison was suspended for the first game of the season for violating the league’s substance abuse policy. He appeared in 10 games last season as a rookie, finishing with 12 receptions for 202 yards and two touchdowns.